NEW YORK -- A Mississippi firefighter who was disfigured while trying to save people from a house fire 14 years ago will get a second chance to get his life back and feel normal again. 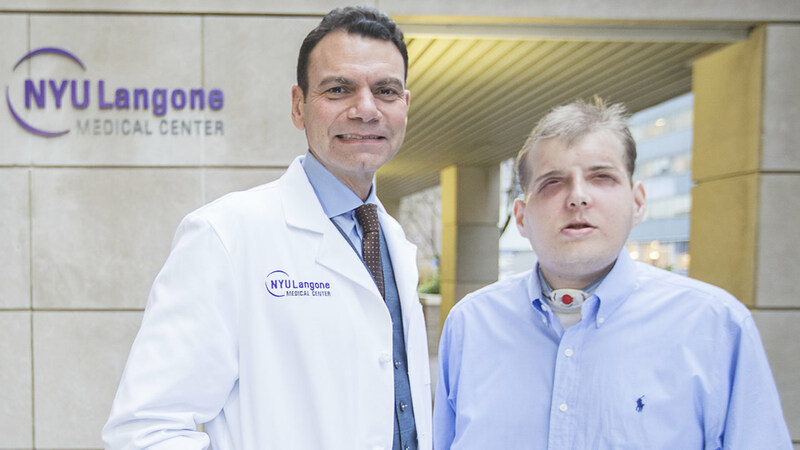 He has received the face of a Brooklyn cyclist in a remarkable transplant carried out in Manhattan, at the NYU Langone Medical Center. The bike rider died in an accident in July, and it took over 12 hours to make his face, the new face for 41-year old Patrick Hardison. 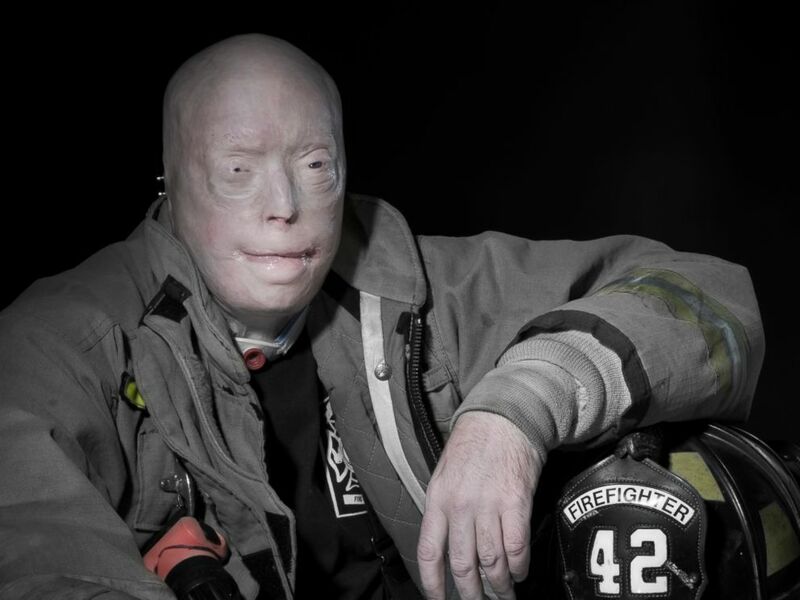 Pat Hardison is shown here in his firefighter uniform before his face transplant surgery at NYU Langone Medical Center. His doctors warned him that the procedure was so risky that he had only a 50-50 chance of surviving it. But it was a risk he was willing to take. "I prayed daily that there would be a miracle to help me get through this, and you know, it's all in God's timing," Hardison said. 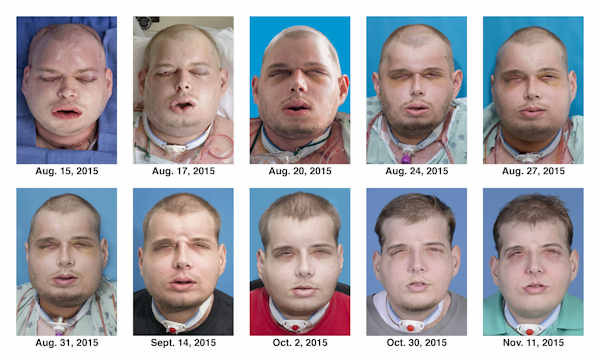 This combination of Aug. 15, 2015 to Nov. 11, 2015 photos provided by the hospital shows the recuperation of Hardison after his facial transplant surgery. More than two dozen face transplants have been performed worldwide since the first one in France in 2005. Dr. Eduardo Rodriguez, who led the surgical team that did Hardison's transplant and recently wrote a review of the field, said Hardison's is by far the most extensive performed successfully in terms of the amount of tissue transferred. "The procurement of the face took approximately 12 hours, the preparation of Patrick's face took approximately 8 hours," said Dr. Rodriguez. "The face was brought from the donor room to the recipient room. This was a well-synchronized, executed procedure, one that we had rehearsed for so many times." 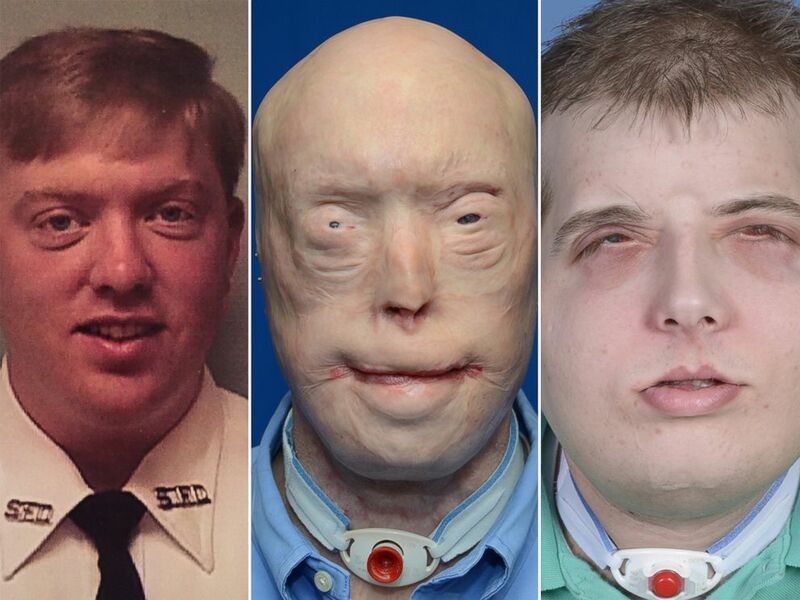 Pat Hardison is shown here before the 2001 fire (left), then before his face transplant surgery (center) and what he looks like today after surgery (right). The transplant extends from the top of the head, over Hardison's skull and down to the collarbones in front; in back, it reaches far enough down that only a tiny patch of Hardison's original hair remains - its color matched by the dark blond hair growing on his new scalp. The transplant includes both ears. The surgery began Aug. 14 and lasted 26 hours. It left no scars on Hardison's new face because the seam of the transplanted tissue runs down the back of his skull. 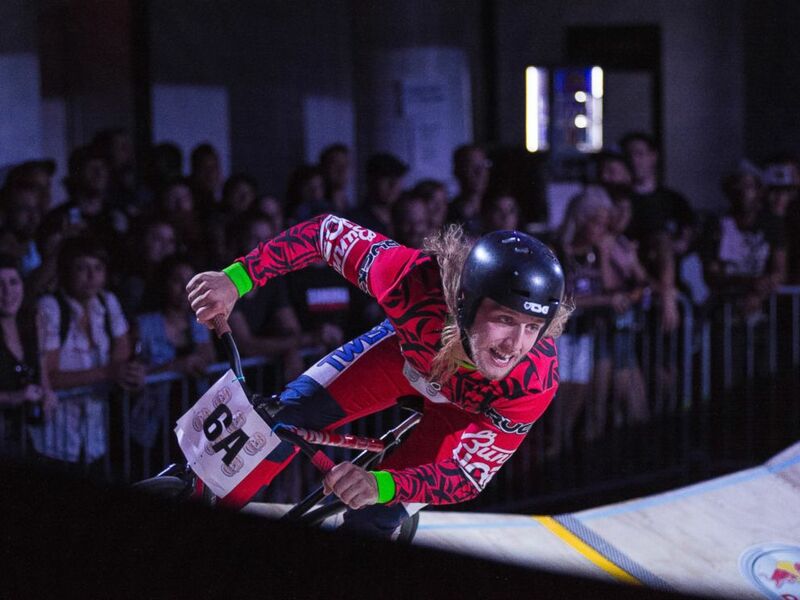 Winner Dave Rodebaugh rounds a corner during competition at Red Bull MiniDrome in Brooklyn, N.Y., June 26, 2014. The transplant cost between $800,000 and $1 million, and was paid for by medical center grant money.